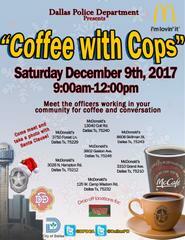 Coffee With Cops this Saturday! Choose a location from the attached flyer near you! We look forward to seeing you there!